When a loved one is facing a serious medical concern, it doesn’t just affect them, it impacts the entire family as well. That’s why it’s so important to focus not only on the health and well-being of your loved one, but also on your own physical and emotional health as their caregiver. There are a number of ways to help support your loved one, and to support you as you take this difficult journey together. In addition to the daily activities your loved one may need assistance with, such as getting to medical appointments, preparing meals, housekeeping, bathing and getting dressed, they will also rely on you for emotional support to help them cope with their medical concerns. They will have good days and bad days so you need to communicate with them and be understanding. Help them live as normal a life as possible. Involve them in day-to-day activities they feel up to. Let them know you are there to offer assistance but let them decide when they need help. Share your feelings and encourage them to share theirs. Take your cues from them. Some people are private while others want to talk. Respect their privacy when they don’t feel like talking. Listen and allow them to express fears and concerns. Keep them company – talk, watch a movie, listen to music, play cards or just be there. Sometimes holding hands or a gentle hug is enough to show you care. Respect your loved one’s need to be alone at times. If your loved one is angry, quiet, withdrawn or sad, let them know you’re open to listening. If you’re concerned about their emotional state, talk to their medical care team about what could be causing this and what can be done. Talk to a friend, spouse, relative or clergy member about your feelings. Use relaxation techniques, pray or meditate. Ask family and friends for help. Talk to a healthcare professional or seek individual or group counselling. Join a support group to share your feelings with others experiencing the same things. There are support groups for caregivers, as well as those going through an illness. Let yourself cry. It’s a normal reaction and can help relieve tension. 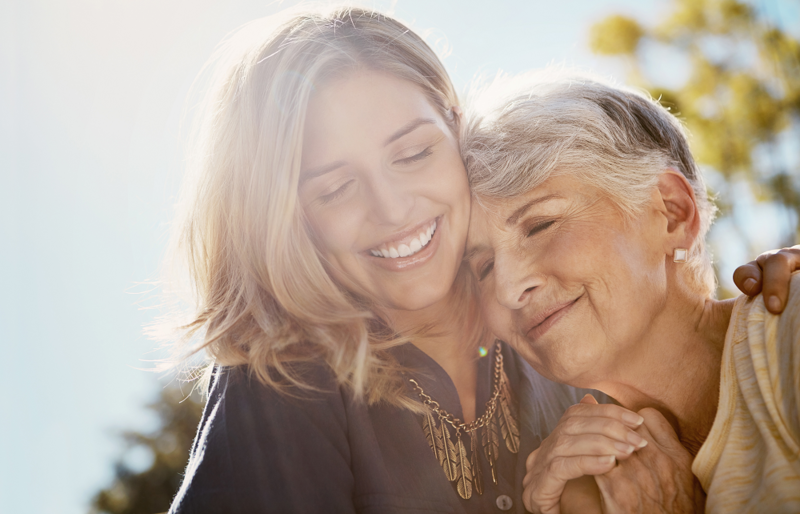 Being a caregiver for a loved one can be a gratifying role because it allows you to help a parent, spouse, relative or friend and demonstrate your love and respect for them. But caregiving can also be stressful, emotional and demanding. As much as you think you can do it on your own, it is critical to ask for and accept help so that you are emotionally and physically able to be a good caregiver. Make a list of situations where you could use help or note them on a calendar. Have regular family meetings, which include your loved one, to keep everyone involved, provide updates and discuss how they can help. Contact family and friends directly if you have a specific task you would like them to do, such as taking your loved one to an appointment or being with them so you can go out. There are also a number of community support services available to assist you in your caregiving role. Bayshore Home Health offers a range of home care services including companionship, light housekeeping, meal preparation, nursing, respite care, foot care, fall and risk assessment, medication reminder, bathing and dressing. With one call, one of our experienced care managers will discuss your needs and provide options to help you care for your loved one at home. Our care managers offer support in navigating the healthcare system, finding local resources and support programs, and addressing your questions and concerns.